Many say that reducing production costs is equivalent to lowering the quality of products produced by a manufacturing company. But, did you know that there are a number of simple ways that you can do to save on production costs, and increase the profit earned? The key to reducing production costs is to approach systematically to control production costs. The first step is to analyze data in the past few years to see where your money is flowing and look for possibilities to reduce the flow of funds. Most manufacturing companies or factories agree that labor and raw materials are the biggest source of corporate expenditure. Even though the costs for employee salaries or raw material expenditures are meant to be spent, this does not mean that austerity measures cannot be taken. 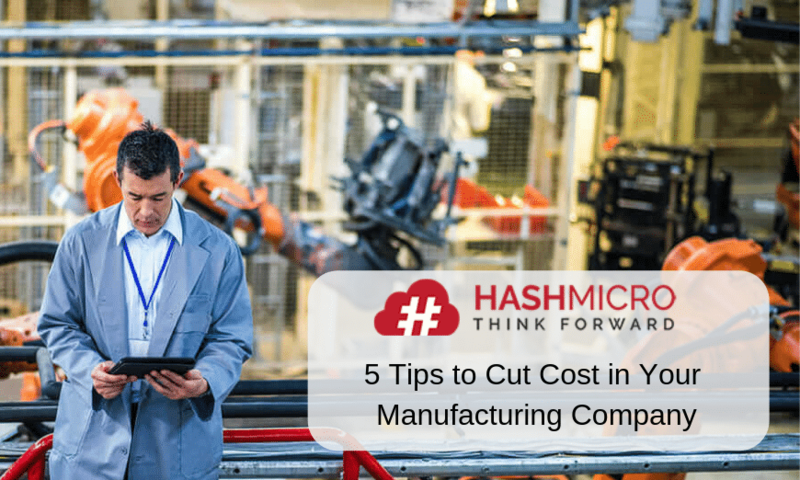 There are several ways that manufacturing companies can take to reduce these costs, namely optimizing raw material spending, operational efficiency, and reducing waste during production. Try to renegotiate the price of the material you bought from your provider. If this is not possible, look for other raw material providers that are cheaper for each item you produce. In manufacturing companies, it is quote common to found suppliers of raw materials are acquaintances or even relatives of company owners or one of the staff. This makes the price negotiation process more difficult due to the relationship between the provider of the raw material and the business owner. The accumulation of goods in the warehouse has the potential to drain your company’s funds, among them are excess produces or expired raw materials stored in warehouses for a long time. If your company does not have a warehouse, this can increase the costs you have to spend to rent a warehouse. Therefore, you need to carry out inventory checking regularly. With inventory checking, you can reduce a lot of expenses for spending raw materials or reduce employee spending if needed. An environmentally friendly production process is the right way to significantly reduce your production costs. Not only that, this policy can improve the morale of your workers, improve the image of the company among the community, and make the environment around your factory/company healthier. This policy can be started with simple methods, such as turning off lights when you and your employees don’t need them, reviewing water consumption, go paper-less, buying energy-saving equipment, and making repairs regularly to maintain the efficiency of your company’s machinery. Various manufacturing companies are starting to implement software manufactures, such as ERP Manufacturing to maximize productivity, increase efficiency and cut production costs for your manufacturing company. Not only that, supporting software is able to measure the performance of each employee and make savings a corporate culture. This technology can be used to evaluate the profit you get from your business to cut production costs. Increasing the profit received is not always obtained by increasing sales of manufactured goods. But through cutting production costs with the aim of increasing efficiency, it was able to increase profits that you get from living your company. One of the most effective ways to improve efficiency is to implement supporting technologies such as ERP Manufacturing from HashMicro. For more details about ERP Manufacturing from HashMicro, please contact us.